Written on October 11th, 2018 October 11th, 2018 . 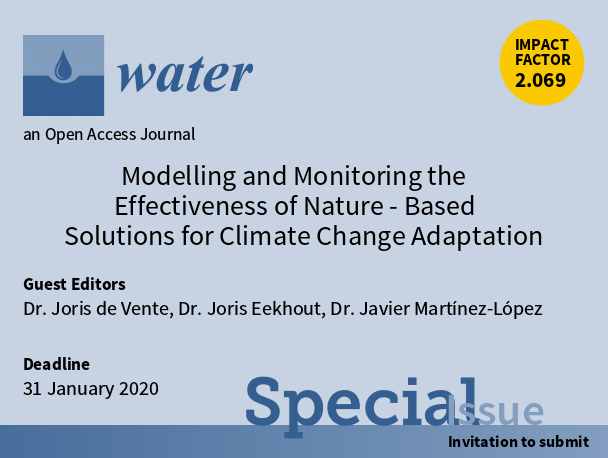 We invite you to submit a paper to the Special Issue “Modelling and Monitoring the Effectiveness of Nature-Based Solutions for Climate Change Adaptation” in the journal Water. Climate change is expected to have a significant impact on many ecosystem services affecting livelihoods and human well-being worldwide. 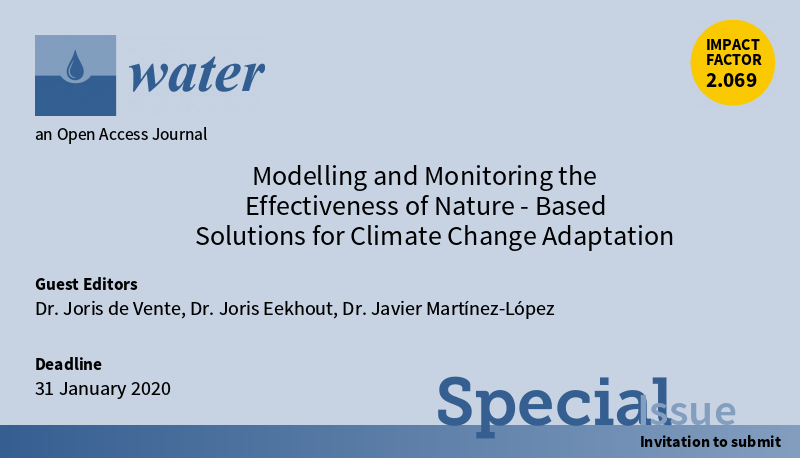 Adaptation measures are required to secure food production and freshwater availability for the growing global population and increase our resilience to more extreme hydro-meteorological climate events (floods, droughts, landslides, forest fires). There is a growing recognition that NBS can provide cost-effective and sustainable alternatives to hard engineering or grey infrastructures to adapt to future climate conditions considering a range of ecosystem services. NBS include but are not limited to approaches based on Sustainable Land Management, Conservation Agriculture, Green Infrastructures, Community Based Adaptation, and Integrated River Basin Management. 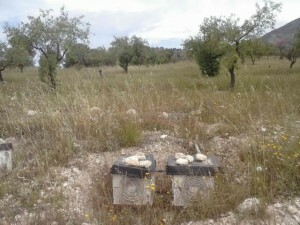 We welcome modelling and monitoring studies assessing the impacts of NBS on hydrology, soil erosion, diffuse pollution, vegetation development, forest fires, ecosystem services, and studies performing cost-benefit analysis of NBS. We especially encourage contributions combining on-site (e.g. 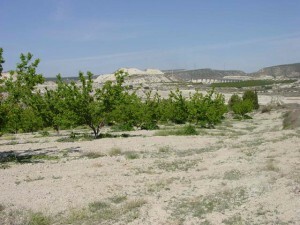 soil moisture, plant water stress, soil erosion) and off-site impacts (e.g. 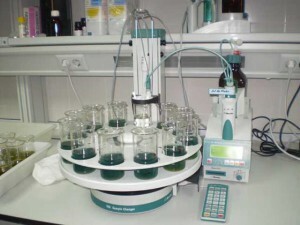 flood frequency, water availability, sediment yield) of NBS, and studies evaluating the effectiveness of NBS under past, present, and future climate conditions. We also welcome large-scale monitoring studies and assessments of the effectiveness of NBS using remote sensing technologies. We are interested in experiences with participatory monitoring and modelling to support the upscaling and co-creation of NBS best fit to local conditions. Click here for more info and to submit a contribution to this special issue.